If you see my image attached, how do i inject css to kill all the spacing between? I want the space very tight. It have a small area to add this in. Remove the spaces where the boxes are in and the arrows. 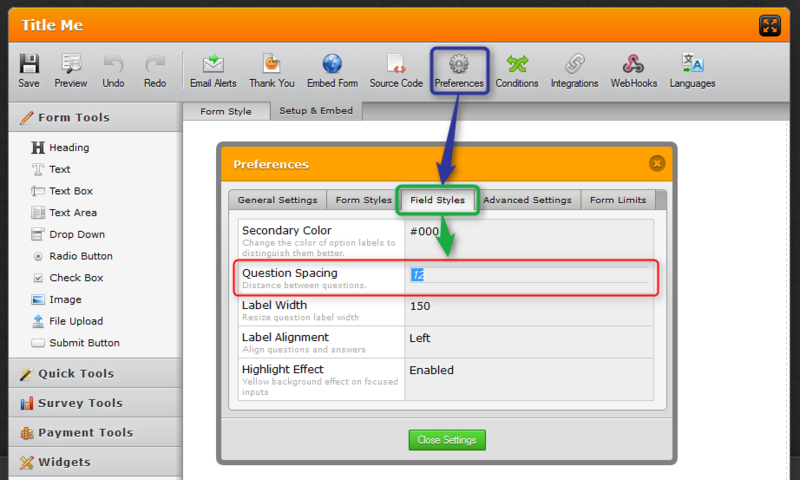 You can actually adjust this more without the need for css using the " Question Spacing " option under your form's Properties > Field Styles > Question Spacing (Second Option on the list). 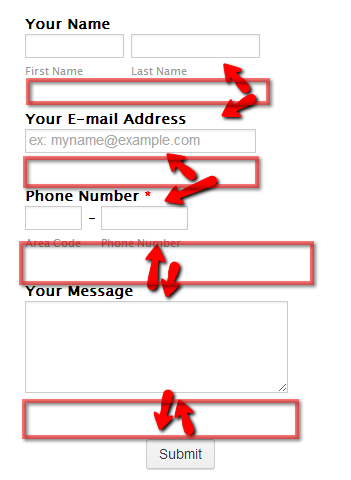 I've made a replication of your form in the screenshot above to show you the example differences.